Fantastic cards using the new set, Shirley! Love your ideas! Love everything you've made here, you really rocked the watercolor!!! Wonderful showcase, Shirley! Love your cards! 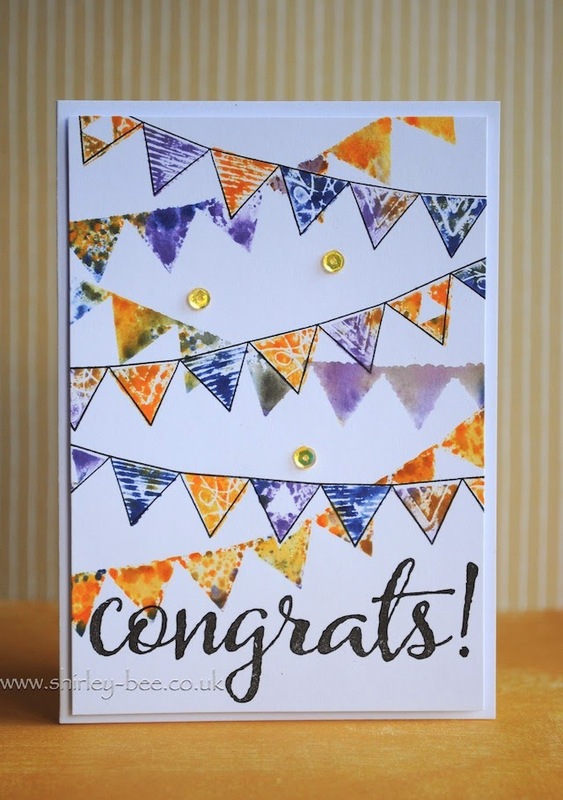 Congratulations on ur Guest star post :) you showed the versatility of this set, love all the creations, totally inspired !! Well that was obviously tons of fun! I love the "pickled" raspberry banners. Would you believe I have that same problem?!?! And you do artsy flowers better than anyone. Wow, Shirley, I really loved looking at all the wonderful ideas you had for this set! Amazed at your stamping of the three-triangle stamp (there must be a hundred there?!) Awesome cards! Wow...again! Winnie & Walter are going to want you to stay on as a full time designer! Endless creativity that has me amazed every time I visit! I honestly wish I had 1% of your talent! "Hello Friend" - love it!